The best veggie dip recipe that will have everyone begging for the recipe! This Vegetable Dip makes a large batch perfect for get-togethers! Years ago, my sister Cheryl got me hooked on this incredible veggie dip. This vegetable dip is unlike any other I’ve had. Let’s be honest, I need all the encouragement I can get to eat my veggies. She came over last week and whipped up this easy veggie dip recipe that we ended up enjoying for lunch! 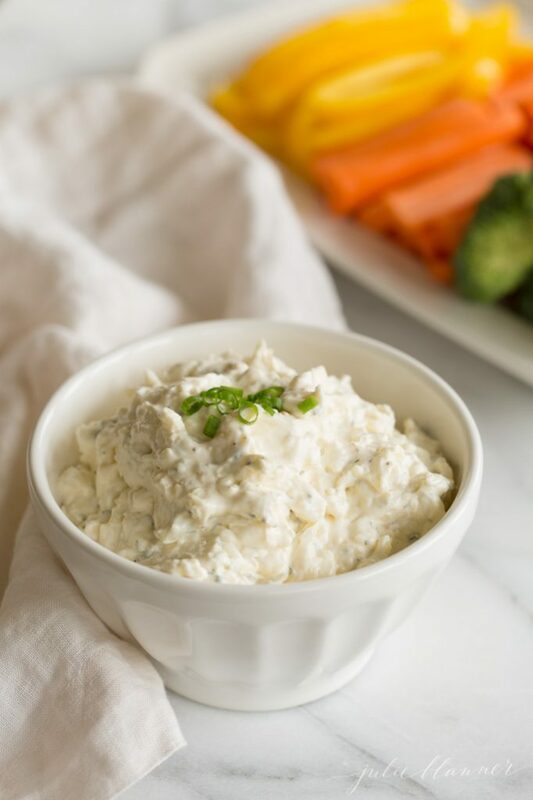 If you’re searching for the ultimate crowd-pleasing vegetable dip recipe, I promise this one is it! If it was acceptable, I’d live off of dips. You’re never too old to be a kid (or eat like one), right? 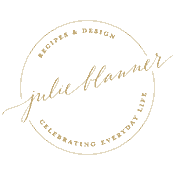 In addition to camaraderie, it’s what we look forward to in gatherings like tailgates, office and holiday parties! Today I’m sharing a fun twist on veggie dip along with a new video on YouTube! This vegetable dip recipe is easily adaptable with a variety of seasoning options. It’s amazing with a southwest spice mix for a little Mexican flavor. However, we also love it with garlicky seasoning like the 21 salute (available at Trader Joe’s). 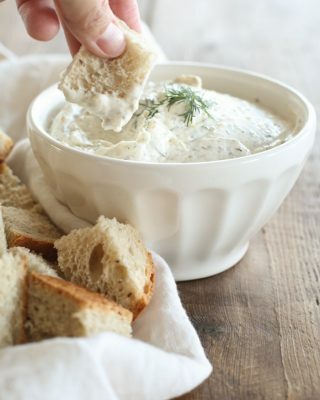 No matter how you spice it up, it’s sure to be your new favorite vegetable dip recipe! The original recipe called for Accent (MSG). I replaced it with my own seasoning and don’t miss the Accent a bit! 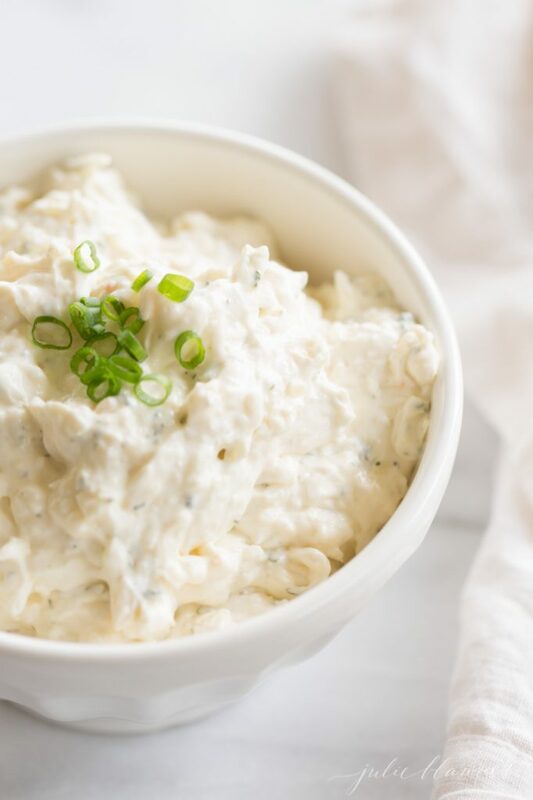 You’ll never be able to go back to store bought dip options after trying this delicious dip. 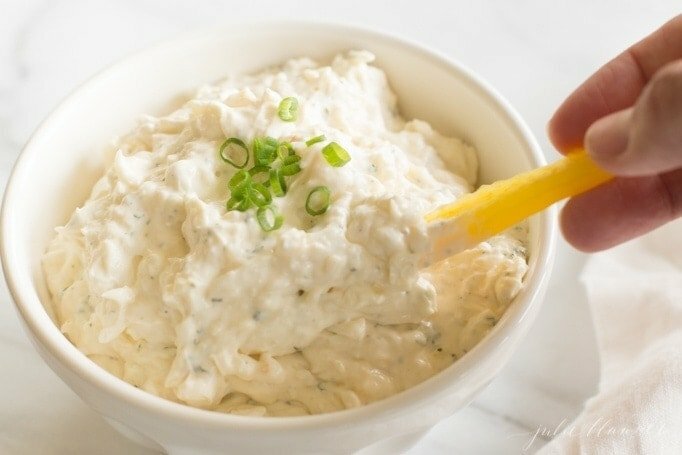 This dip is so quick and easy to make. If possible, I strongly encourage you to freshly shred your cheese. Blocks of cheese tend to be of higher quality and have less preservatives. Therefore, overall they are so much creamier. 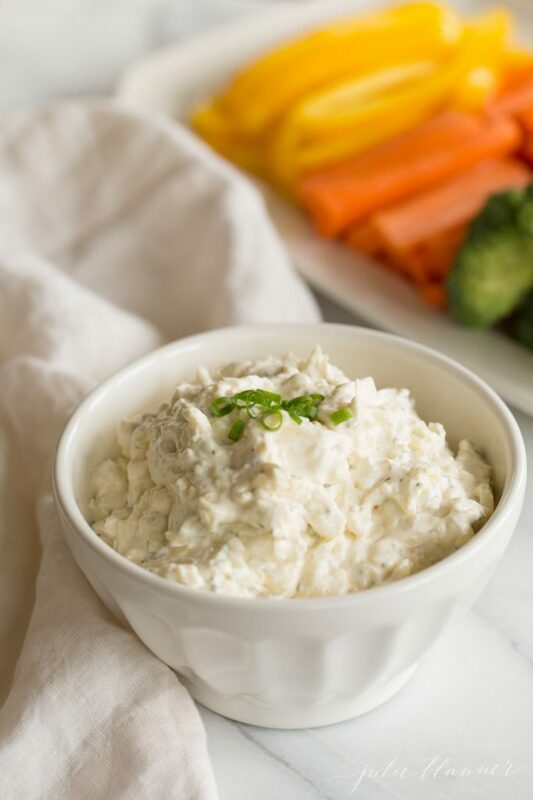 Fresh shredded cheese blends in perfect with this veggie dip! You won’t regret it, I promise! While this veggie dip uses a traditional sour cream and mayo base, it’s anything but ordinary! You’ll never serve another store bought veggie dip again. 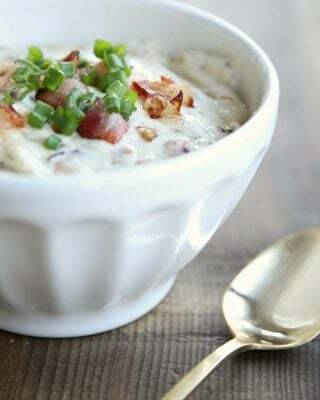 It’s a creamy dip filled with texture and flavor. As always, you can substitute sour cream with greek yogurt to increase protein while reducing calories and saturdated fat. You can use fresh herbs or a few green onions to really take it up a notch. It also makes a beautiful garnish. As much as I love ranch, vegetable dip wins every time. Are you eating a little lower carb these days? 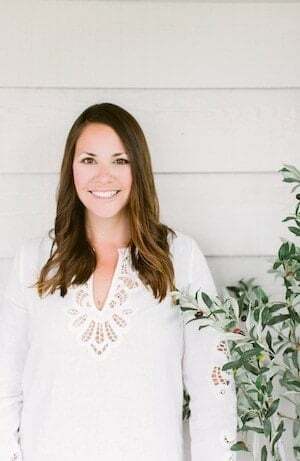 Or perhaps trying to manage a full Keto diet? 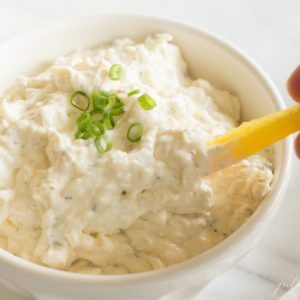 This dip works well in your Keto lifestyle! Just eliminate the touch of sugar at the end and it’s a perfectly low-carb snack. As you can see below, it works beautifully when served with any number of veggies that will fit right into your diet plan. 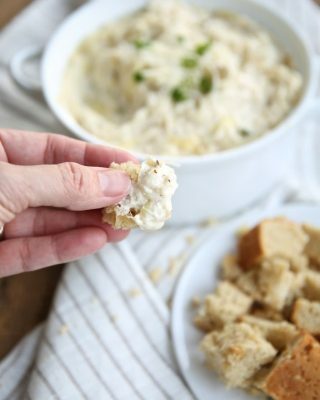 I love serving this dip at get-togethers because it gives any low-carb friends and family a great snacking option! Because Keto plans lean heavily on higher-fat options, this dip works very well! 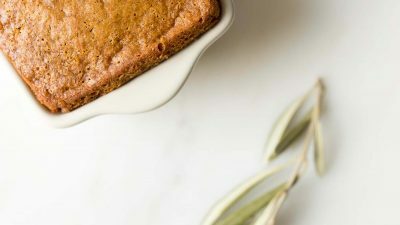 Sour cream and mayo are both considered keto-friendly, as well as most cheeses. Make sure you eliminate the teaspoon of sugar and also check the label on your seasoning to confirm that there’s no added sugar there. This veggie dip is such a great way to help you enjoy your daily intake of fresh produce! The photo above is just 1/2 a batch of the veggie dip recipe! This vegetable dip recipe makes enough to feed a crowd. Of course, you can also add some fresh herbs if you happen to have them on hand! A little fresh basil, rosemary or oregano would be delicious additions! It couldn’t be any easier! Just combine ingredients and fold in fresh shredded mozzarella cheese. Add your favorite seasoning and refrigerate for two + hours. If you make this vegetable dip recipe, please comment using the star rating below. Also, share your favorite way to season it…I love mixing things up. Happy Dipping! Sounds delicious. What type of “seasoning” do you use? Can I leave out the onion flakes and still have a great flavor? You certainly can, but you’ll want a more robust seasoning like a Southwest blend. Enjoy! What do you use for the “1 t seasoning”. I know the original recipe used Accent but you use your own blend – not sure what that is? Is it salt free or ? Did I miss something? 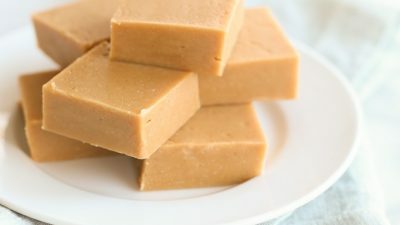 Sorry, I mentioned that in my post, but not recipe. I love Southwest or Trader Joe’s Seasoning Salute, Sweet Onion and Herb or Garlic and Herb. I’ll add it into the notes. Enjoy! When you say 1tsp. seasoning, what “seasoning” do you mean? Are all the seasonings u listed found at Trader Joe’s? All the others are found at any grocery store. I tend to use McCormick’s, but there are several brands that make the same. Yum, sounds and look very yummy!!! 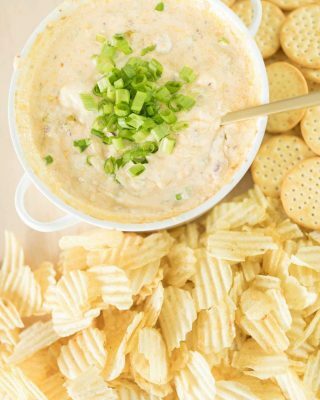 I plan to make this dip over the weekend for a tailgate with Cavender’s Greek Seasoning – sounds delicious! Thanks for the recipe! Oooh! I haven’t tried that! I’ll add it to my list! This looks incredibly delicious! Definitely must try! This is such a great dip, all things that I usually have on hand!! 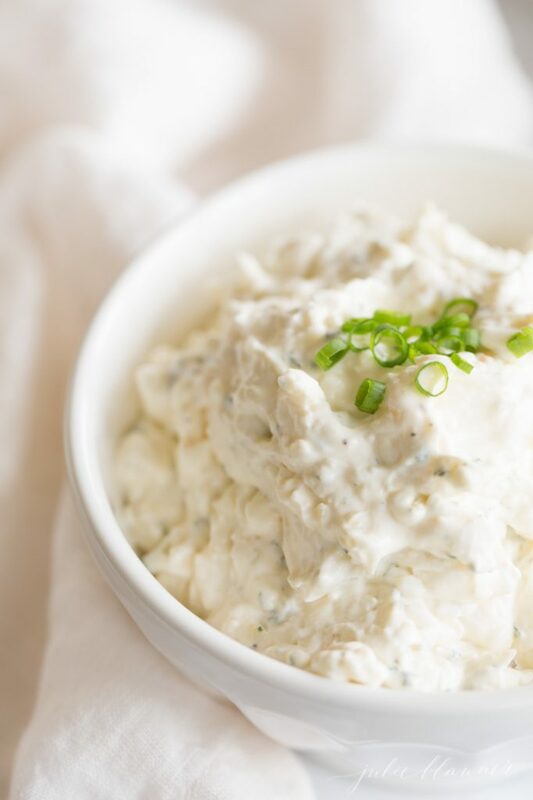 This dip is a simple and delicious recipe that is always the first thing gone at parties! Love how easy it is and how addictive it is! That sounds delicious and so versatile! Thank you for the beautiful irresistible veggie dip recipe. Made this over the weekend for my family and everyone loved it! For the Parmesan, is it grated? JUlie , for the Fabulous Veggie dip , I couldn’t get Onion flakes … can and how much to substitute with real onions ? Or I have Shallots? Of course you can! They’re in every spice aisle, they may be labeled minced onion or chopped onion, but fresh is always amazing! Hope you enjoy it! Why didn’t I think of that? Thank you SO much for sharing! I LOVE IT !! Used VEGAN Sour Cream, VEGAN Mozzarella Cheese,VEGAN Parmesan Cheese, Knorr’s Vegetable Seasooning, Llipton’s Onion Soup,Sauted shredded Carrots, Garlic,Red Onioons,Spanish Onions, Re- hydrated dried Vegetables, and one packet of VEGAN Ranch Seasoning, Celtic Salt, and Organic Pepper. Took it to Church Supper. It DIDN’T last 20 minutes !! People begged for the recipe over and over again !! Will make it again and again. I just love it, Thanks !! A. Thornton, Detroit. Thank you SO much for sharing! I love that you mixed it up and made it vegan.